This is the comparison of best 3 kindles Paperwhite, Oasis and Voyage. You can see the differences between these models, compare and choose the most suitable kindle. You can see list of our Comparison Kindle : Paperwhite | Oasis | Voyage below, perform Side-by-Side comparison. If you need further help, do have a look at Conzumr Guides and Tips. Alternatively you can view all Kindle to choose your own favourites. Kindle Paperwhite's Smart Lookup feature integrates a full dictionary with X-Ray and Wikipedia so you can access definitions, characters, settings and more without leaving your page or losing your place. Words looked up in the dictionary are automatically added to Vocabulary Builder to expand your knowledge and reinforce retention. Swipe through your vocabulary words, quiz yourself with flashcards and instantly see those words in context. Paperwhite guides light towards the surface of the display with its next generation front light – unlike back-lit tablets that shine in your eyes – so you can read comfortably without straining your eyes. Adjust your screen's brightness for great reading in any light.Design your own perfect reading experience by increasing the text size to suit you. Choose from eight text sizes to prevent tired eyes and keep you reading longer. Kindle Paperwhite 3G is the easiest option because there isn't any wireless set-up – you are ready to shop, purchase and read right out of the box. 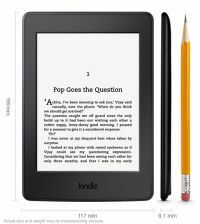 Built-in free 3G connectivity uses the same wireless signals that mobile phones use, but there are no monthly fees or commitments – Amazon pays for Kindle Paperwhite 3G's wireless connectivity. The added convenience of 3G enables you to download books anytime, anywhere, without having to find a Wi-Fi hotspot connection. Your Kindle may use wireless connectivity to make other services available, such as wireless delivery of personal documents, which may require an additional charge. 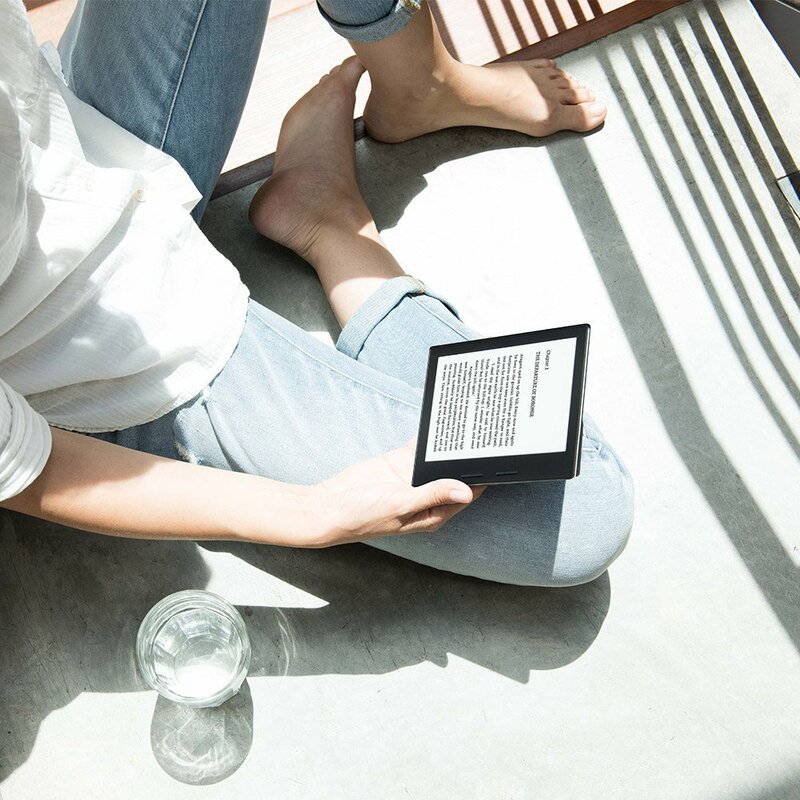 This Amazon's latest new kindle is the thinnest and lightest Kindle ever that can be read even more comfortably for hours together. 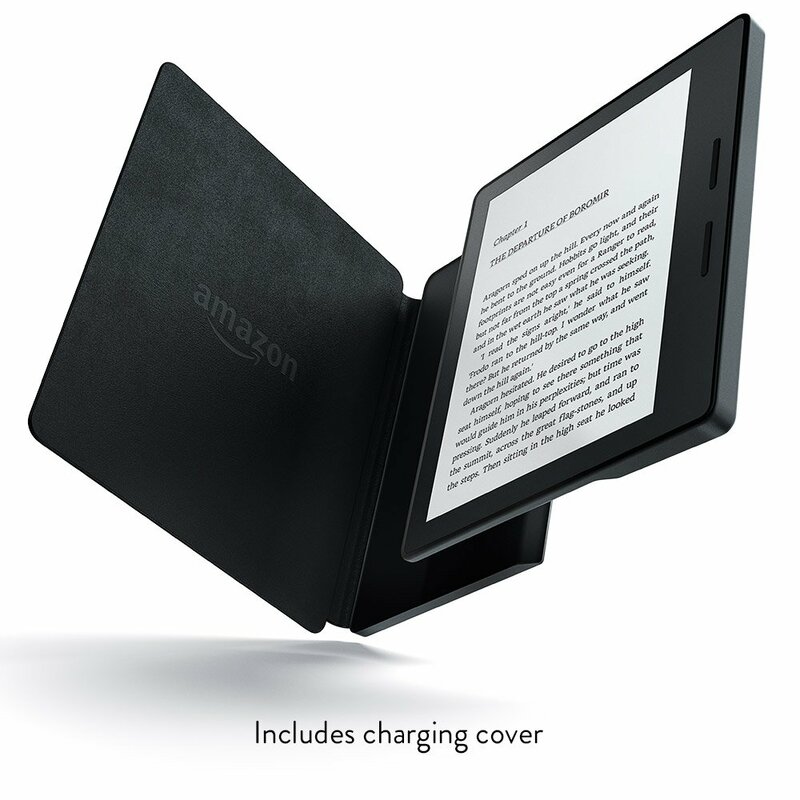 It is designed with physical buttons to easily and effortlessly turn the page.Oasis is the only with longest Kindle battery life as the included leather charging cover boosts battery to last months. Longest Battery Life: A single charge lasts up to eight weeks, based on half an hour of reading per day with wireless off and the light setting at 10. Battery life will vary based on light and wireless usage. Kindle Voyage 3G is the easiest option because there isn't any wireless set-up – you are ready to shop, purchase and read right out of the box. 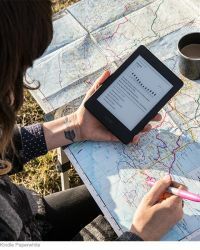 Built-in free 3G connectivity uses the same wireless signals that mobile phones use, but there are no monthly fees or commitments – Amazon pays for Kindle Voyage 3G's wireless connectivity. The added convenience of 3G enables you to download books anytime, anywhere, without having to find a Wi-Fi hotspot connection. Your Kindle may use wireless connectivity to make other services available, such as wireless delivery of personal documents, which may require an additional charge. Kindle Voyage can be read in bright sunlight or total darkness—and it's smart enough to know the difference. With a new adaptive front light, Kindle Voyage senses the light in your environment, and changes the setting to the ideal brightness. 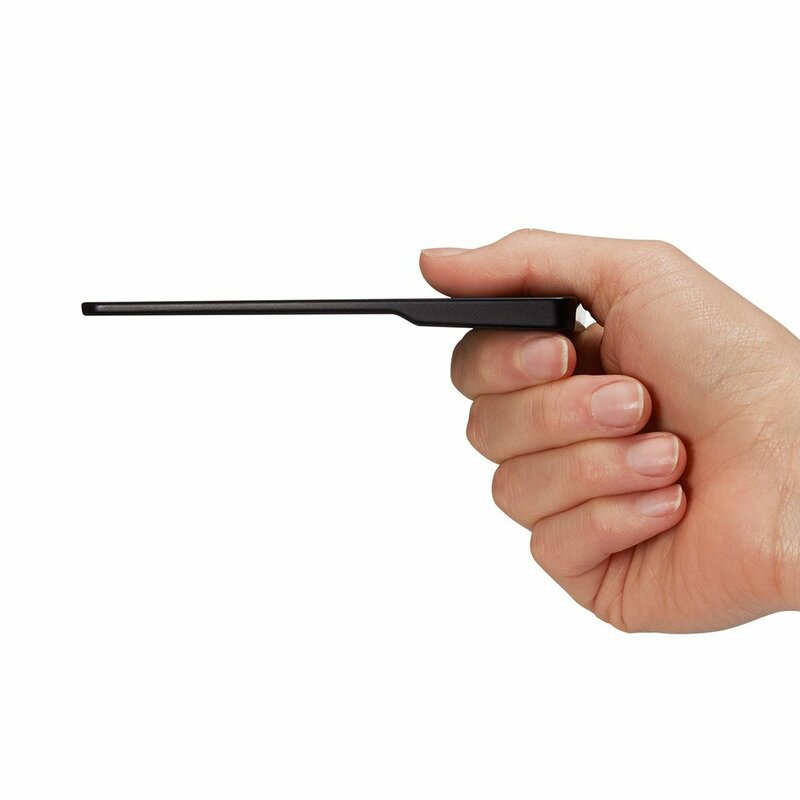 The 3G feature in this device enables you to access wikipedia and kindle store to download books. Kindle 3G can connect to the internet via free 3G without a wireless set up. The 3G connectivity uses the same wireless network as your phone without paying any monthly fees. But your kindle may use the wireless network. Glare free screen enables reading even in direct sunlight. It gives a real paper like effect while reading on an e-reader in the sunlight. Display and its technology used in the devices like phones, tablets or kindle is of great important for the E-readers. A good display makes it easier to read specially during long reading sessions on an electronic book reader. E-reader displays are of different types such as LED, LCD, E-ink glare free etc. 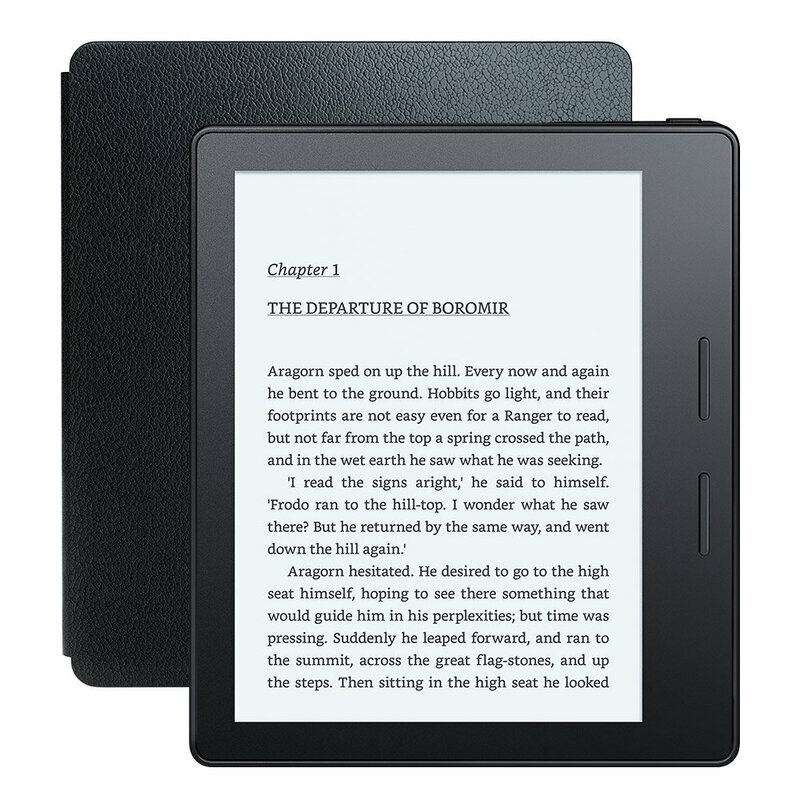 The display plays an important role in making the kindle a better device for reading books. You can use glare free display screen for reading directly in the sunlight. Storage of an e-reader is nothing but the capacity of the device to store the data. It comes in several gigabytes such as 2 GB, 4 GB etc which has a capability of storing thousands of books. 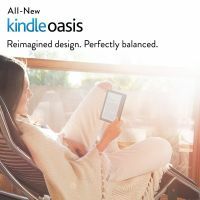 6 " Paperwhite Wi-Fi plus 3G (Black) : 6 "
6 " Oasis (Wifi plus 3G) : 6 "
6 " Voyage Wi-Fi plus 3G : 6 "
This is a very important feature of any kindle as it automatically adjusts the light when you are reading in a dark room or in the sunlight. This improves your e-reading experience without putting strain on your eyes. Supports public and private Wi-Fi networks or hotspots that use the 802.11b, 802.11g or 802.11n standard with support for WEP, WPA and WPA2 security using password authentication or Wi-Fi Protected Setup (WPS). Kindle Wi-Fi model can connect to the internet only through Wi-Fi connection. To Recieve updates and possible rewards for Amazon Voyage Wi-Fi plus 3G please sign in. To Recieve updates and possible rewards for Kindle please sign in.